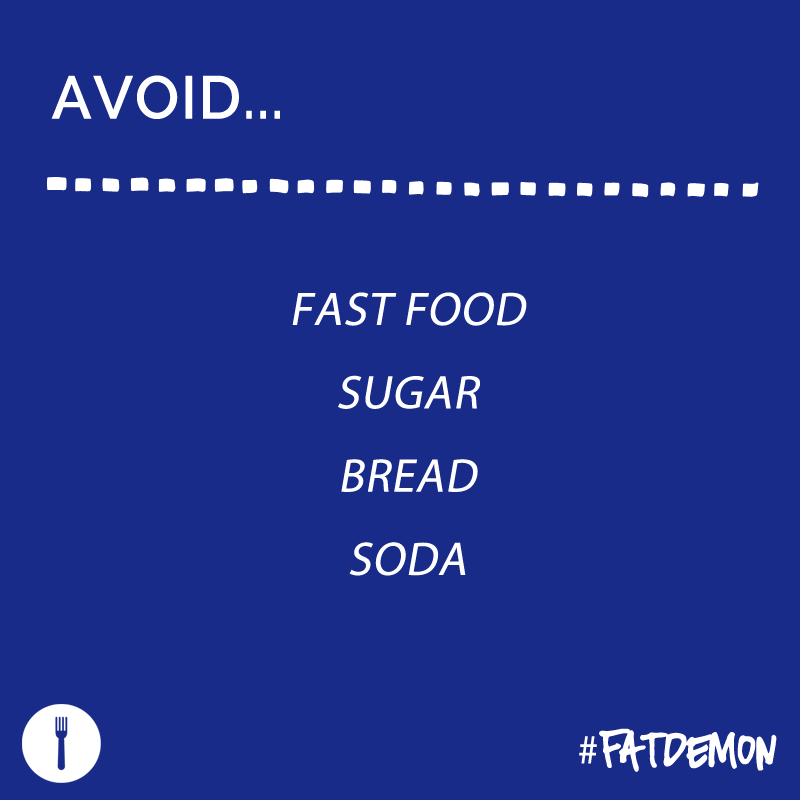 Are you joining me in the #FATDEMON challenge? We’ve been going for two weeks and we’ve got one week to go! If you are just now hearing about the 21 Day Challenge, it’s not too late for you to join in! As we enter the last week of our challenge, I want to shoot some practical encouragement your way. On today’s podcast, you will find tips from a long time friend mine who has struggled with losing a substantial amount of weight. This show will give hope to everyone who listens, particularly those who have struggled with weight for awhile or who might have found themselves up and down the scale a few more times than they care to admit. 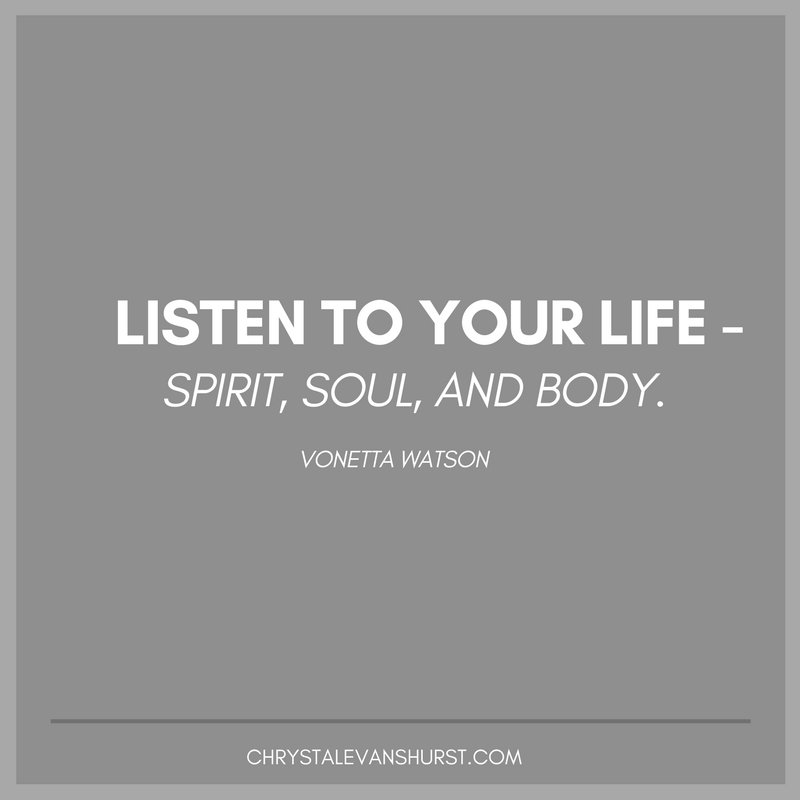 On today’s podcast I’m talking with Vonetta Watts. Vonetta had been overweight all of her life. But one day when she found herself taking pills for high blood pressure and diabetes and not yet forty years of age, Vonetta decided to make a change. That change happened slowly but not only has Vonetta been able to lose over 150 pounds, she has been able to keep it up for five years. Let’s just stop there and be amazed. Vonetta and I talk about the changes that she made to lose the weight and what it looked like to keep the weight off successfully. You will love her and you will love her story. For any of us that have struggled, it’s good for the soul to meet someone else who has struggled and won. We are reminded that even our most difficult battles can be fought and won. 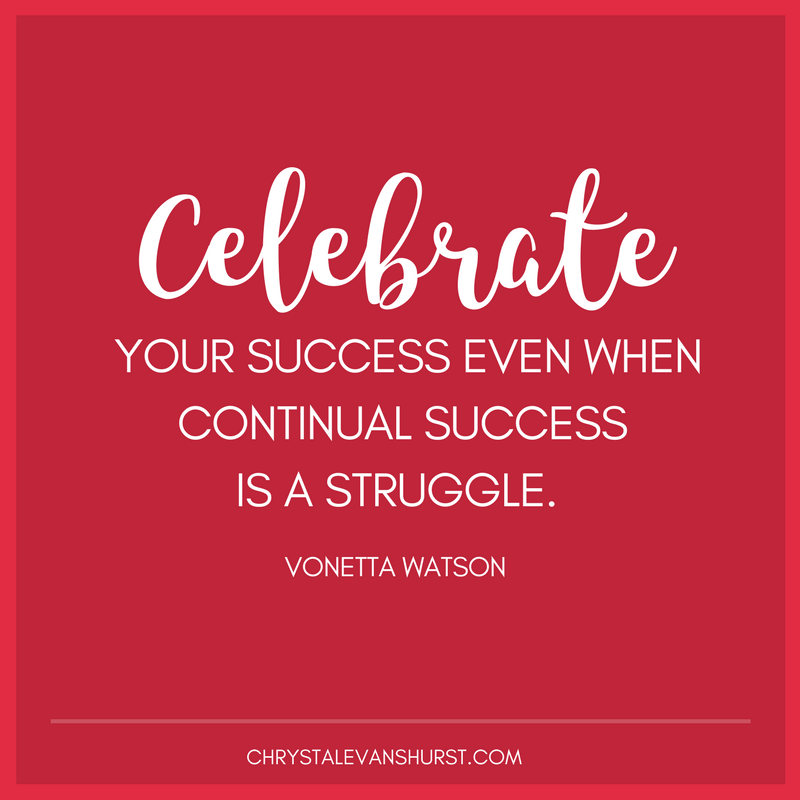 We talk about what food and exercise choices Vonnetta changed years ago and which of those changes she still has or does not have today. We discuss the importance of listening to your life, looking at your life, and deciding to love your life enough to change. 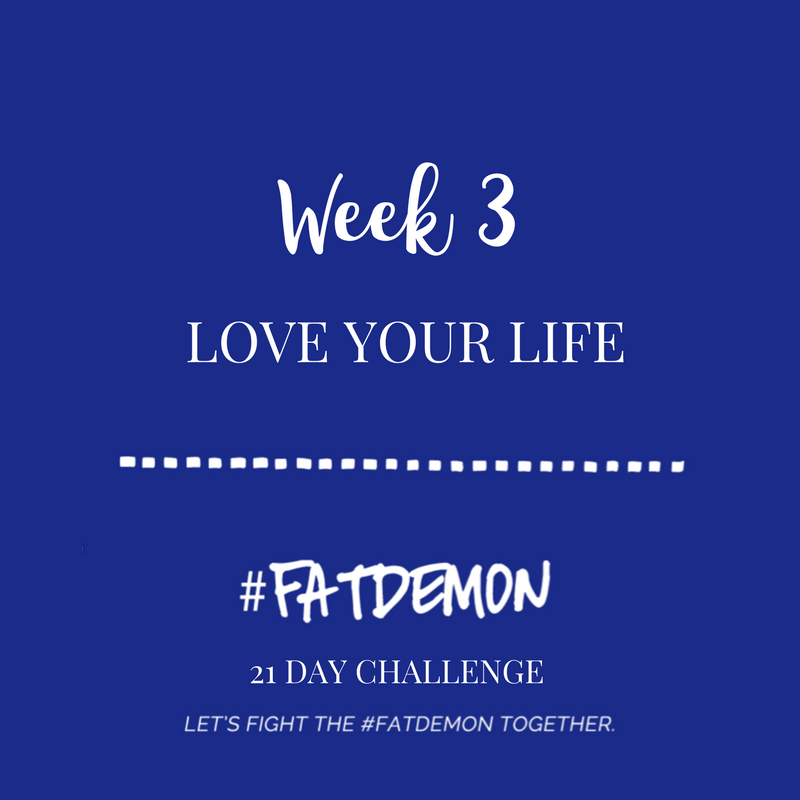 As we enter the last week of the #FATDEMON 21 Day Challenge, this chat will inspire you to stay the course and chart your way to victory. And I’m inviting you to continue the 21 Day Challenge with me! Each day you simply do the assignment for that day and continue doing any previous assignments. One day will build on the next. This challenge is an Instagram challenge but you can do it anywhere on social media, or do it on your own or with a friend. Day 2 – Wake up a little earlier. Day 3 – What’s your why? Day 5 – Water for half of your weight. Day 6 – Wind down and rest. Day 9 – Look at your snacks. Day 11 – Lug Your water…. only water. Day 12 – List your meals and your movement. Day 13 – Lose the fast and/or fried food. Day 14 – Lose the sugar. Here’s some other fun things to do while you fight the #FATDEMON this week! Day 15 – Share a scripture that helps keeps you focused. Day 16 – Share a motivational quote that helps keeps you focused. Day 17 – Share a screenshot of a song that helps keeps you focused. Day 19 – Think about your exit/maintenance plan. Day 20 – Write down your exit/maintenance plan. Day 21 – Share your exit/maintenance plan with “your person”. And don’t forget to share pics of your meals! Have you lost the weight and kept it off? What tips do you have for your success that you would share with other people? What is your biggest struggle in losing or keeping off the weight? Soda, sweets, fast food? What topic and/or guest would you like to hear from in the future? Have a question you’d like for me to answer on a future podcast? Share your question with me HERE. Practical tips for eating and working out whether you are a beginner or have your plan down pat. Want to learn more about me and my #fatdemon? Click here. 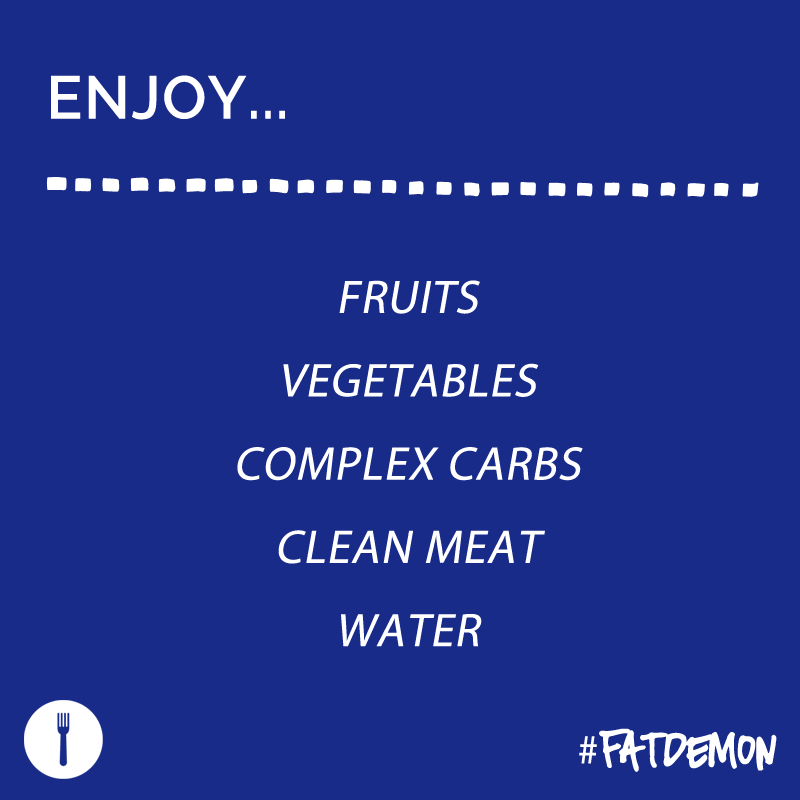 Missed the week 2 podcast of the #FATDEMON challenge? Click here to listen. Want to read my book? Check out Kingdom Woman! If you’re new to podcasts, think of them like little radio shows that you can listen to at your convenience. They are perfect to listen to and learn from as you workout, fold laundry, wash dishes or conquer the world. 1. Listen right here on the blog. Click the little play button at the beginning of this post. 2. Listen on iTunes or Stitcher! – Be sure and subscribe so you don’t miss an episode! 3. Share today’s show – I could use your help with getting the word out there about my new podcast. Would you take a minute to share today’s post? Email the link to a friend or share on social media. Just click on the sharing buttons at the bottom of this post. Thanks! Can I ask you a favor? However you found me, will you be so kind as to leave a rating on iTunes and/or write a 2-3 sentence review there or on Stitcher? Your commentary or rating helps make the podcast more “findable” by others who might not know it exists! Thanks in advance for your help! #202 – Let it Go! I loved this challenge because…I’ve been on a weight loss journey for 2 years and was stuck. This helped me to re-focus. I love how the challenge is laid out each day as well. Thank you! I’m so glad you joined in and I’m happy to know that it has helped you! I love this challenge because…it’s sustainable, which is where I’ve often failed before. Going 100 mph for a short time and then….crash and burn! Thank you so much for sharing your life with us. You are such a blessing, Chrystal. God bless you! I pray that you start and KEEP GOING! You can do it! Ketogenic eating with intensive journaling and intermittent fasting led me lose 45 lbs in the last year. Cravings for all that is terrible is very much reduced, and food tastes better. My energy is high. I don’t have an exercise regimen but find I am highly motivated to do more physical activity. Ketogenic eating allows you to lose fat and reveals/grows protein=muscle so weight loss may not be significant even with significant loss of size from the body. The body is burning fat first for fuel. This has also been proven to be beneficial for healing in nerves/brain and now is being studied for emotional health benefits, and my personal experience supports what I have read. My mindset in setting out on modified diet was to get smaller and to improve how I look at what is unhealthy regarding thought life and connections to people and food, etc. The body and mind will reflect what a person allows to feed them. I didn’t recognize some contributing negatives until journaling even the terrible thoughts free form. I don’t journal food choices and loosely track carbs and calories. I would lose more if I was more militant about it; however, I like the process of improving my process not so much reaching a goal by a certain date.